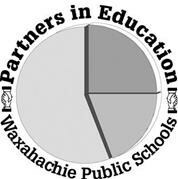 The Partners in Education program in Waxahachie Schools developed from a partnership with the Waxahachie Chamber of Commerce, through a common goal to encourage parental and community volunteer involvement. Through the Partners in Education program, Waxahachie ISD has great support in volunteer efforts from parents and the Waxahachie community. There are a number of specific programs available for parents and community members to be involved with. In addition, there are PTO and volunteer opportunities available on every campus. During the 2017-2018 school year, more than 5,200 individuals volunteered their time for a total of 76,000 hours. Each year over 300 businesses contribute to WISD through donations, incentives and volunteer time proving yet again the overwhelming support the community shows for their local school district. The Partners in Education Program has community support through its Partners in Education Advisory Board. This board is made up of community leaders from all areas of the workforce. The purpose of the Partners in Education Advisory Board is to encourage business and community involvement in schools to prepare our students for the future by promoting partnerships between WISD, businesses, and organizations. These partnerships show an understanding that the economic well-being and vitality of our community are tied directly to the school system. For more information on the Partners in Education program, contact Melissa Cobb, Director of Partners in Education, at 972.923.4631.